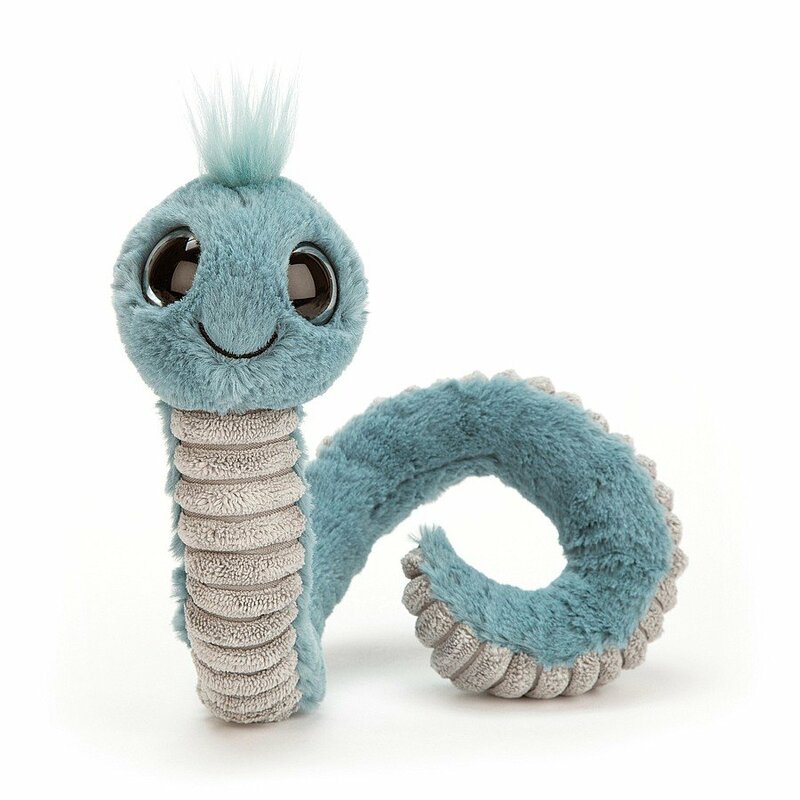 Perky, chirpy and happy to meet you, Wiggly Worm Blue just popped in from the garden! Adorably quirky, this funny teal friend has huge shiny eyes and great big smile, as well as soft blue fur and a cordy tummy. This tufty treasure is super-springy, and coils up neatly when it's time to rest.